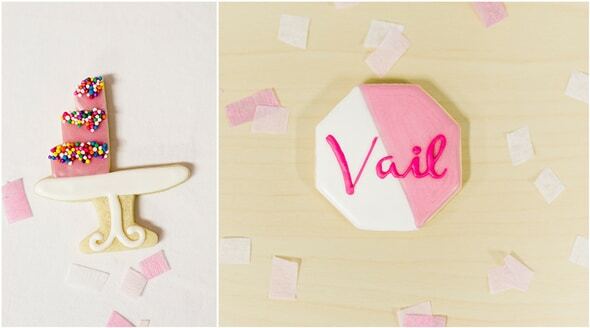 You might want to sit down for this pretty party! 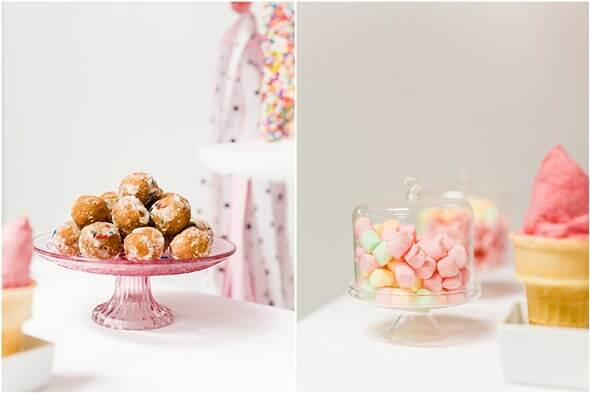 We are all for celebrating baby’s 6 months in cute, cute style like this sweet soiree! 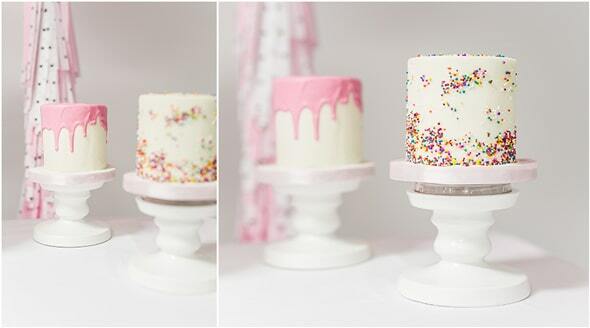 And a sprinkles theme is just perfect! 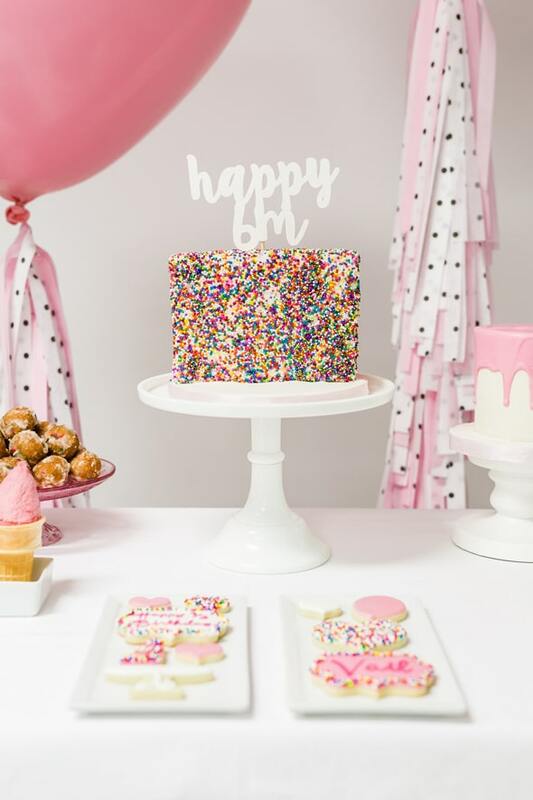 There’s nothing like a Little Sprinkles Birthday Fun! And those shoes …. how adorable are they?!?! 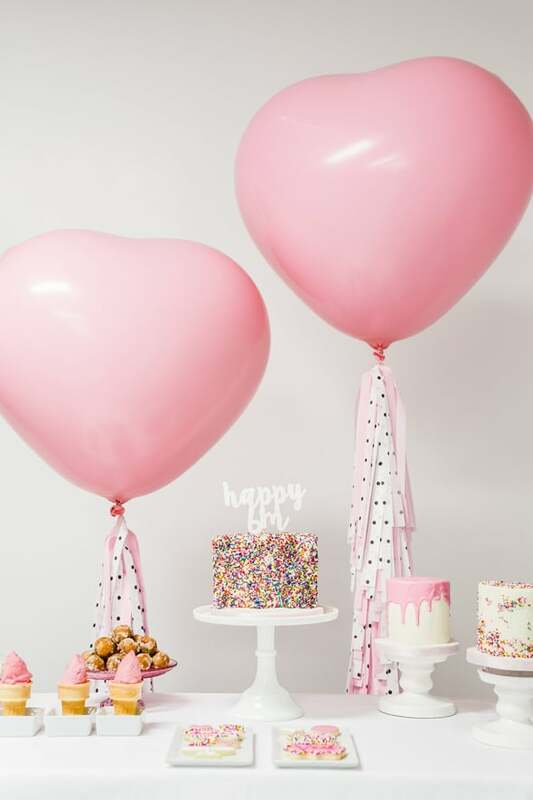 What could be more fun than a little girl’s first birthday party? A HALF birthday party involving Little Sprinkles Birthday Fun! Why not make every milestone memorable?! 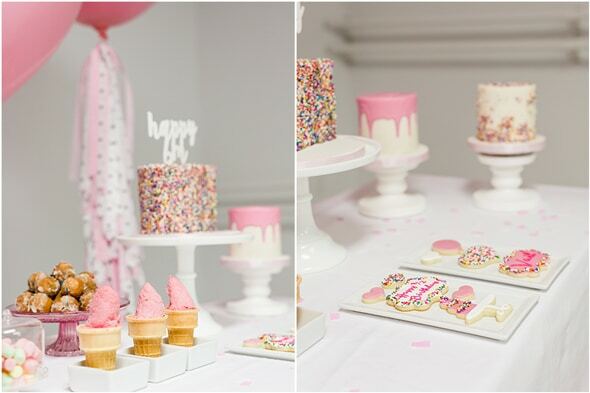 Sprinkles and pink were incorporated throughout the party and the decor was incredible! Lux Event Rental did a fabulous job with the concept and styling. 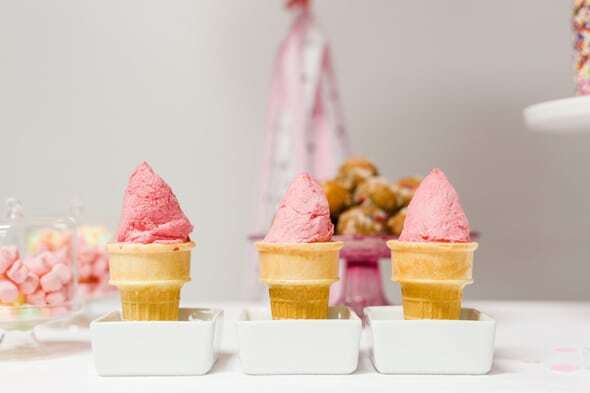 The dessert table was a favorite stand out, with a DIY linen that was hand-dipped in light pink food coloring. 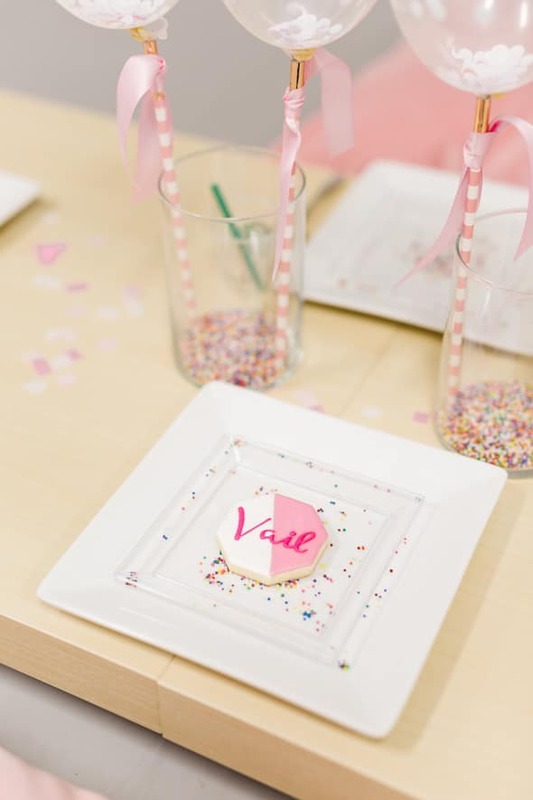 What a unique factor to bring the sprinkles theme to life, along with painting the legs of the table pink. Perfect! 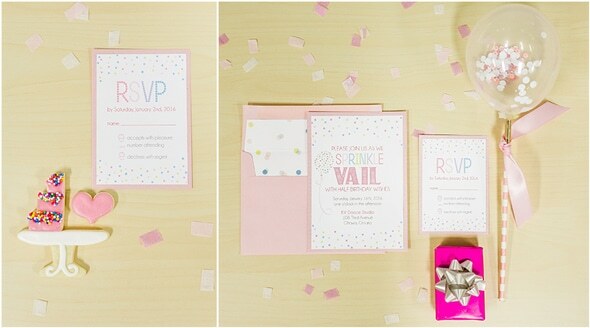 No party is a party without fabulous invitations! Created by Hashtag Paper, it was a great first peak into the celebration and theme of the party, which was held at KV Dance Studio! If you were thinking a half birthday celebration would mean half of the dessert, you certainly would be wrong! The gorgeous main celebration cake from Sweet Shop Cakes was piled high with sprinkles, along with a glittery white cake topper. 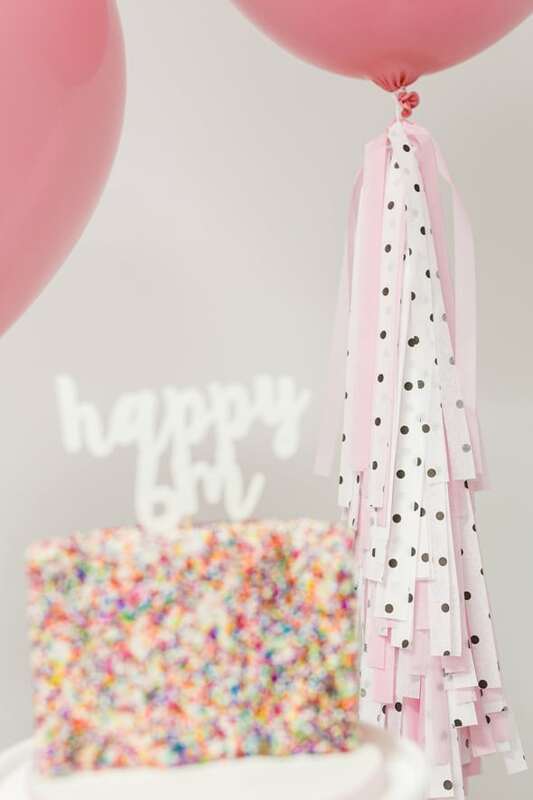 The beautiful script font said “happy 6m” and was a perfect addition for this half-birthday girl! Bash & Co did a great job with a great cake topper! Who wants to just have one cake?! Not this celebration! 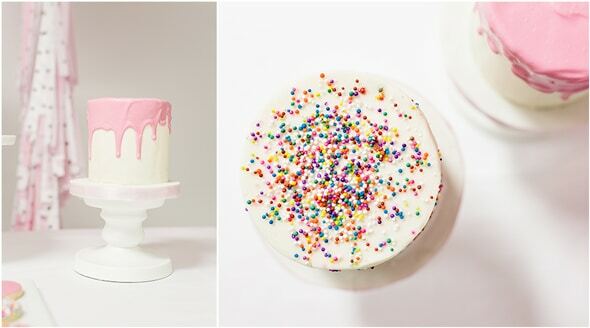 The dessert table included two 4″ round cakes, one with a dash of sprinkles and another with ink icing dripping down. They both tied into the theme absolutely seamlessly! Sugar cookies from Sugar Sugar Ottawa were simply fabulous. 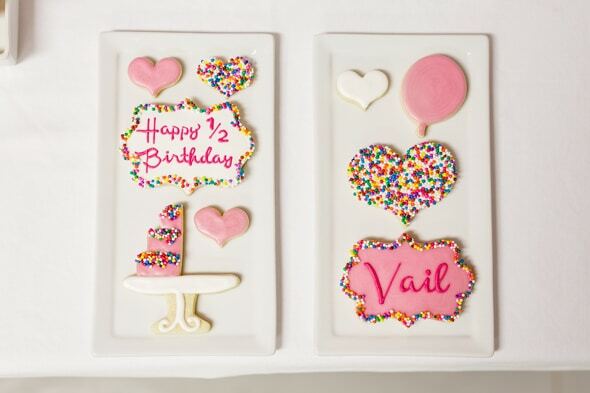 The details were incredible with many unique designs and of course, sprinkles! The backdrop was kept simple, but pure and beautiful for some Little Sprinkles Birthday Fun. 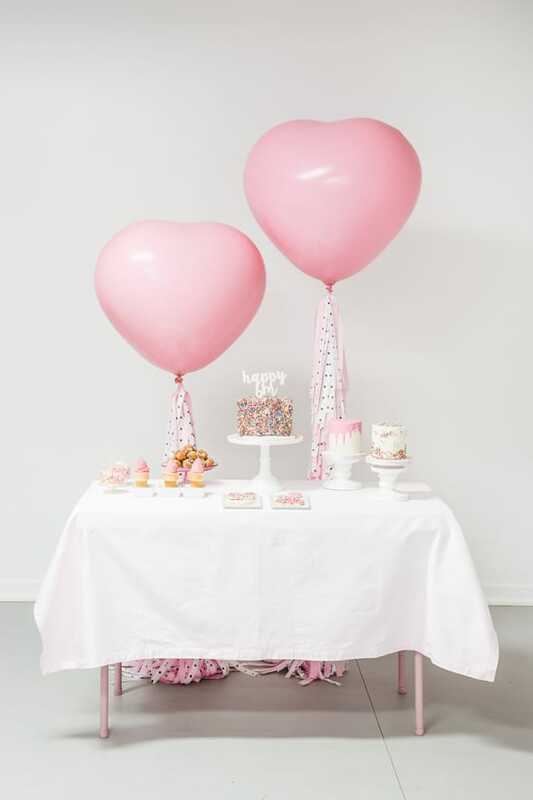 36″ pink heart balloons with matching tassels were used from Efhamar and Sienna, which of course meant even more balloons had to be added! So fun! The place settings were gorgeous and so comfy looking! The pink plush pillows were a wonderful addition for a little girl’s birthday event. So much better than stiff chairs! White square plates also acted as chargers, which were topped with clear plates. That meant you could see all of the sprinkles in between, which was a great addition to tie together the theme! 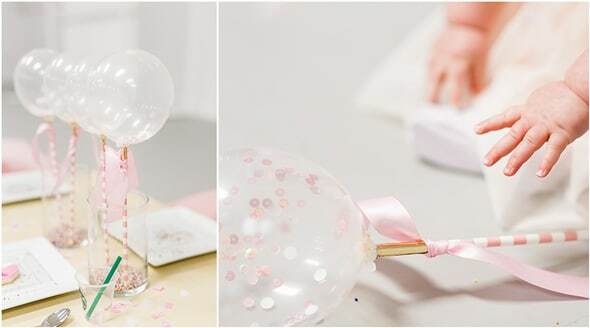 Clear mini cups and straws were a big hit and the place settings were finished off thanks to Handcrafted Parties, with mini clear confetti balloons as centerpieces. They were placed in glass vases and sprinkles and were adorable! 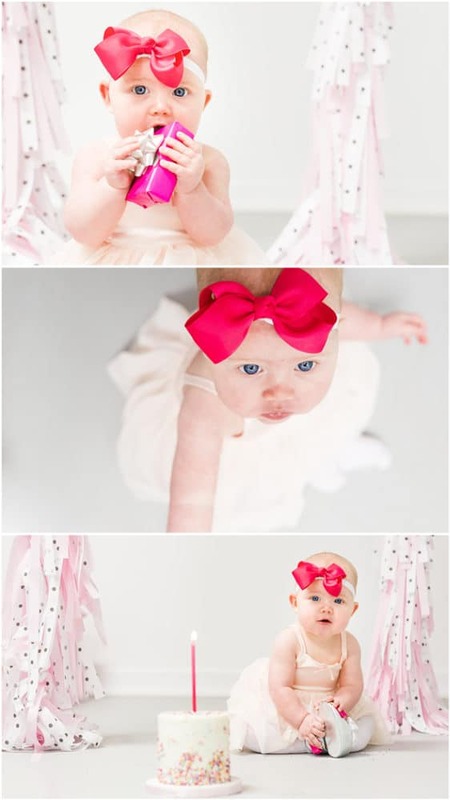 Every little birthday girl has to have a little photoshoot, even if it is her half birthday! 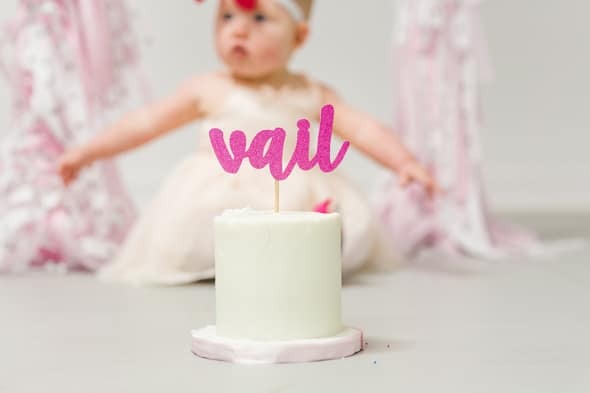 A plain white mini cake with a sparkly pink script cake topper was used, along with a great birthday candle. So sweet! 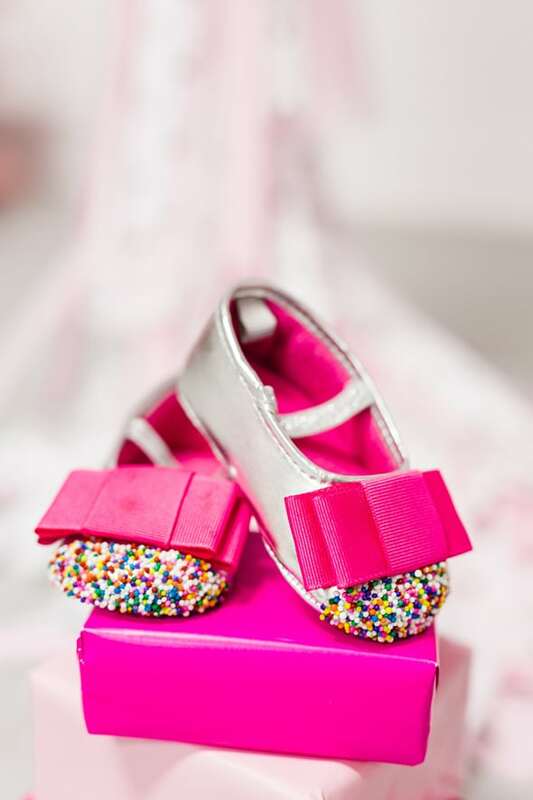 And of course every little girl needs the perfect shoes for her celebration! 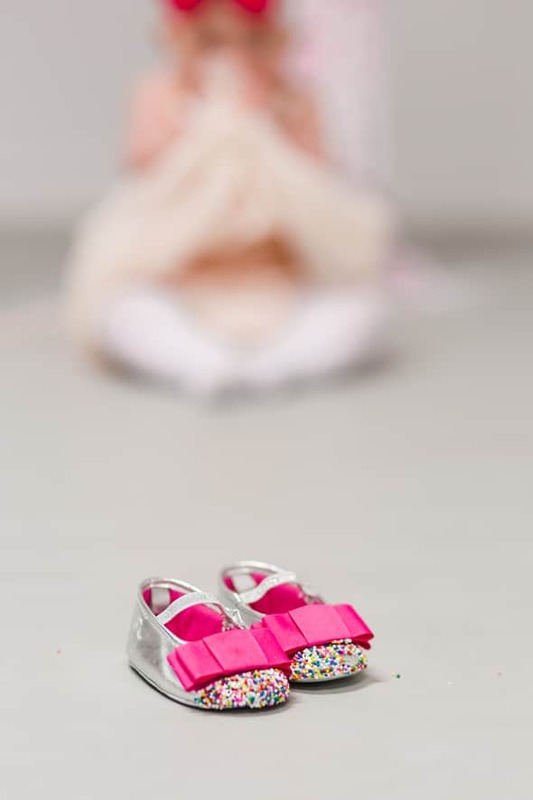 These super cute sprinkle shoes were beyond perfect! Happy half birthday, little girl! What a sweet way to mark 6 months! 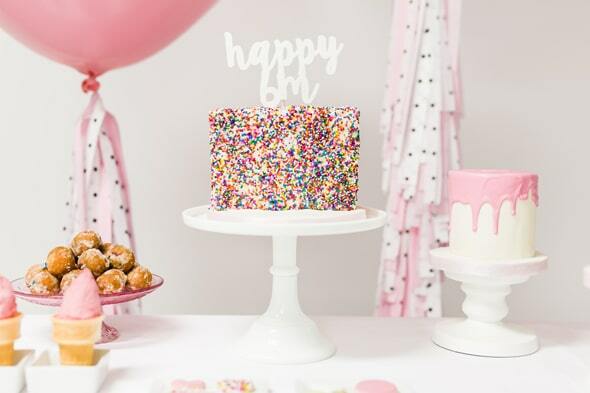 Check out this fun Pink and Gold Half Birthday Party on Pretty My Party!